The British Isles are an archipelago in the North Atlantic Ocean off the north-western coast of continental Europe that consist of the islands of Great Britain, Ireland, the Isle of Man. In our classification it consists of the regions Britannia, Hibernia and Caledonia. 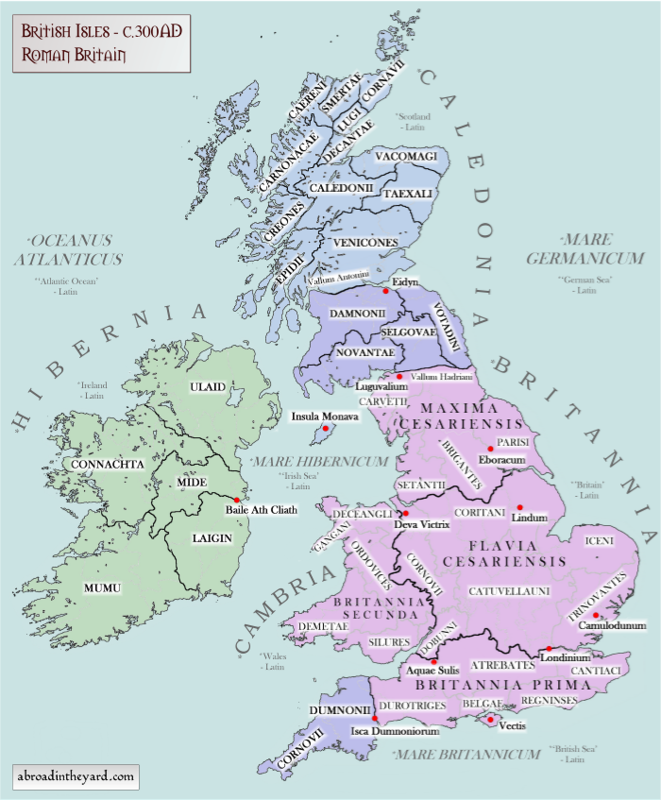 Anglo-Saxons arrived as Roman power waned in the 5th century AD. Initially, their arrival seems to have been at the invitation of the Britons as mercenaries to repulse incursions by the Hiberni and Picts. Viking invasions began in the 9th century, followed by more permanent settlements, particularly along the east coast of Ireland, the west coast of modern-day Scotland and the Isle of Man.